An analysis of the average rating of 210 respondents, gave us the top 25 Marketing AI Use Cases below. As you'll see, the highest rated use cases were scored between 3 and 4, indicating they are of moderate-to-high value for marketers. Interested where we as an industry are with our understanding of AI? Check out AI Score for Marketers to explore and rate dozens of AI use cases, and get personalized recommendations for AI-powered vendors. Visit www.MAICON.ai to learn more. Register by April 1, 2019 to save $600 off the full event price! 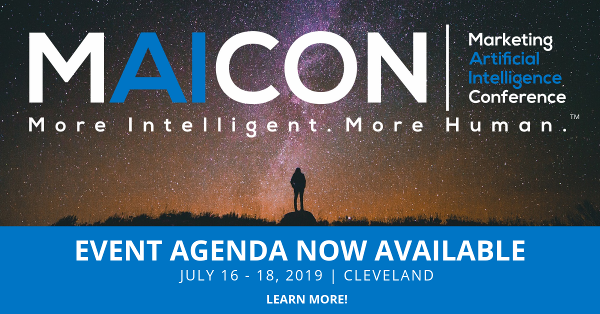 Want the Latest on Marketing and AI? Get exclusive insights, the latest resources and AI technology spotlights.